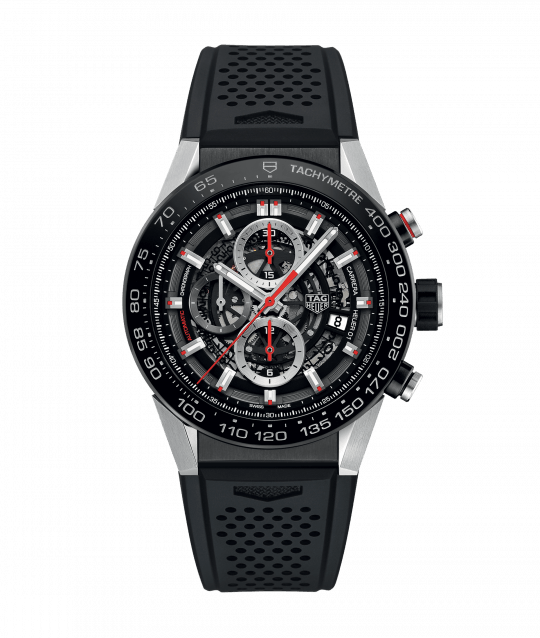 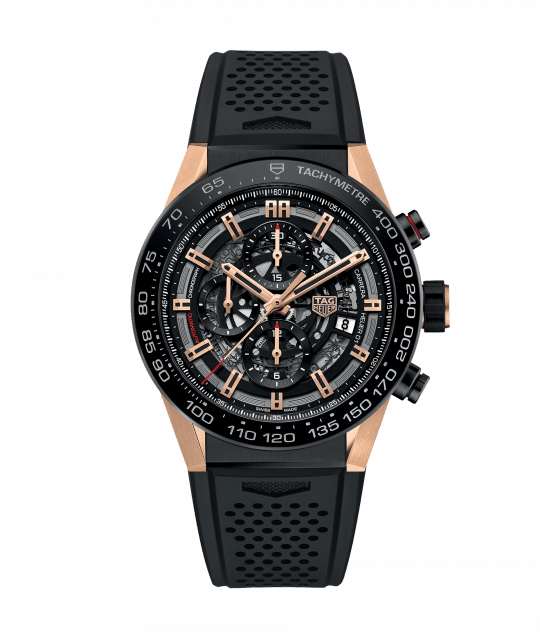 Tag Heuer refuse to compromise on performance or aesthetics with this TAG Heuer Carrera Heuer 01 Men’s Watch presented with a black skeleton dial, 45mm stainless steel case and stainless steel bracelet. Powered by advanced automatic movement, the dial is equipped with luminescent silver-toned hands and hour markers for optimum legibility, three chronograph sub-dials at 9, 12 and 6 o’clock, as well as a date window at 3.30. 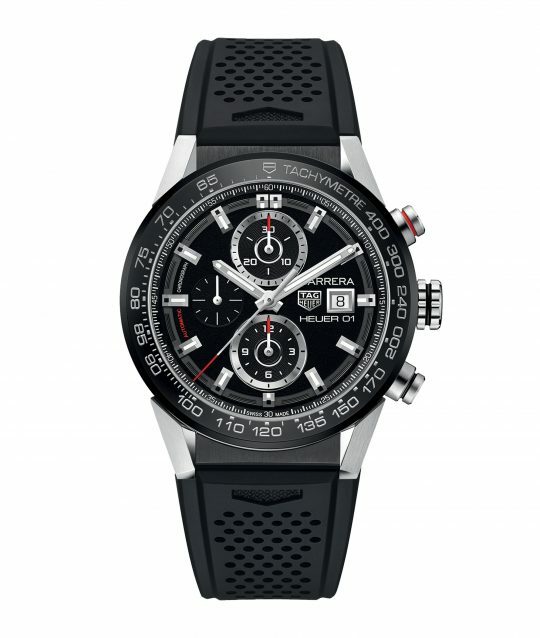 This timepiece is Water resistant to 100 metres, and boasts a 50-hour power reserve. 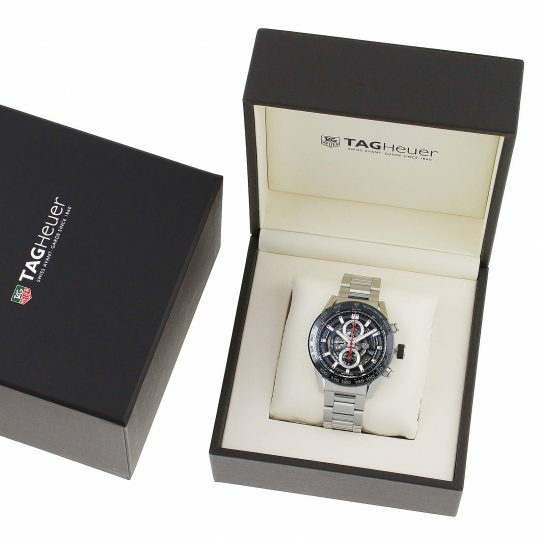 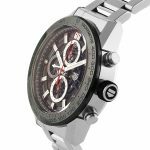 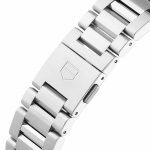 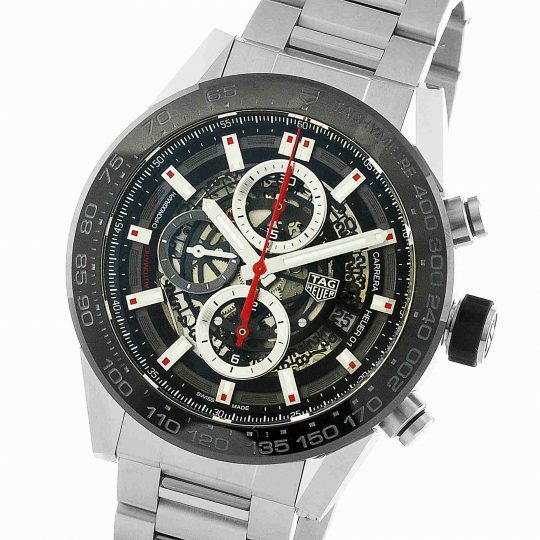 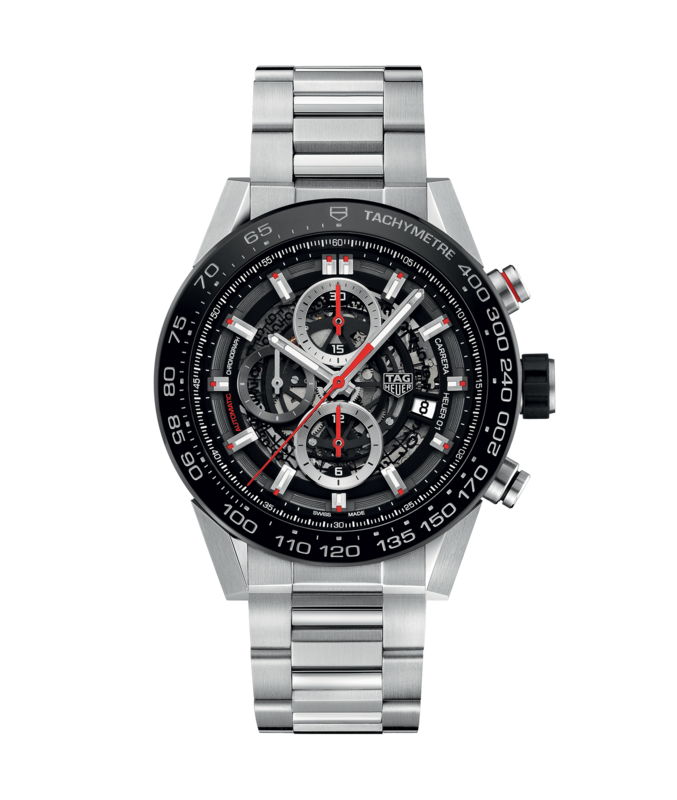 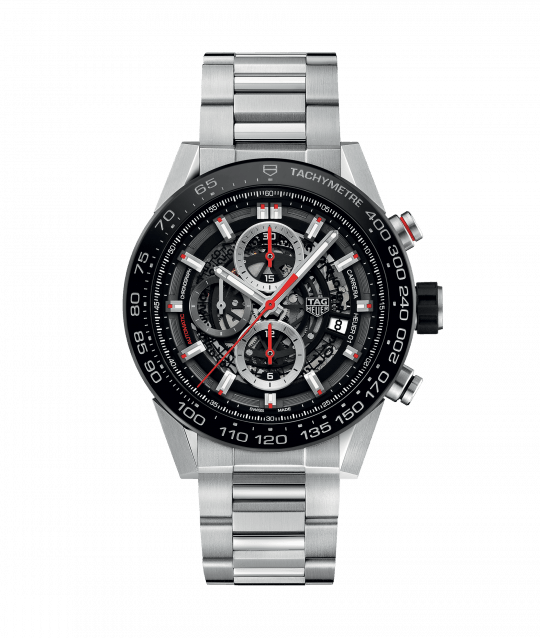 Tag Heuer Carrera Calibre heuer01 45mm Steel Gents Watch has been successfully added to your shopping bag.